Worn once at our wedding on the 24th of November. 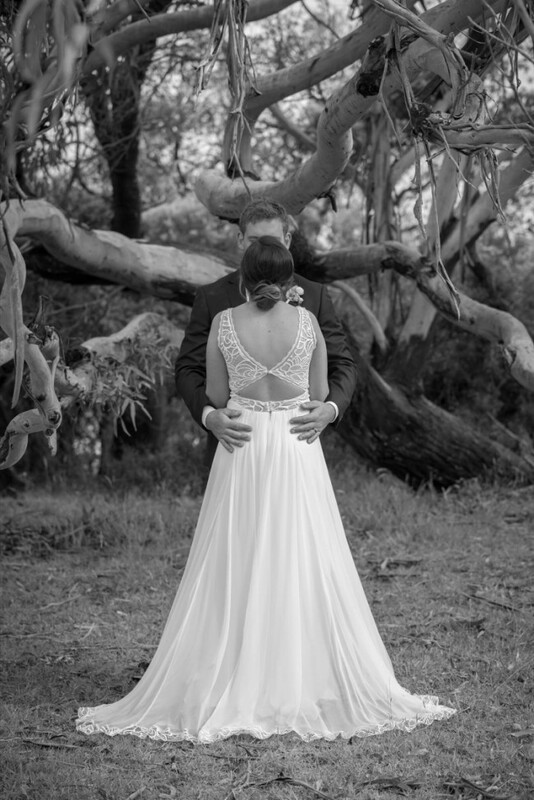 Beautiful elegant dress with a unique back. Has been dry cleaned, slight marks on bottom as seen in picture. Once you send a message, Briana can invite you to purchase the dress.